Cancellation Watch: WTF? 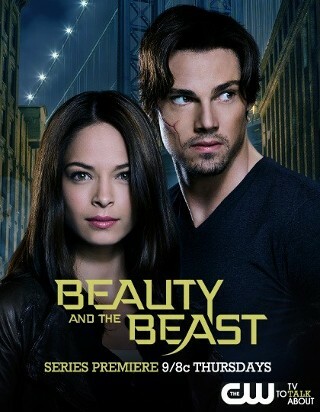 The CW is Talking About Renewing Low-Rated Beauty and the Beast!? On The CW’s recent press tour, network president Mark Pedowitz talked about the renewal chances of several of the show’s currently running. Not surprisingly, he seemed optimistic about Supernatural returning for a ninth season even though I think that should give that show the chance to go out on its own terms. But it continues to perform well enough for a CW show, and that network is struggling to hold on to an audience these days so they likely prefer to keep anything around that has a decent or better following. But when he turned to the topic of freshman series Beauty and the Beast, he also had a positive outlook on the future of that show saying things like “we think we have something in this epic love story” and “we believe the show has a very long run in front of it”. Now that could just be network double-talk and a way to skirt around admitting that the show really is a ratings stinker (despite the fact that the network advertises it as a “hit” show). And who knows what they will do with it come May. But if they are even considering renewing it, then I am giving up on predicting CW shows. That network is now performing at or lower than several of the basic cable shows in the Nielsens, and I just don’t understand their strategy to remain viable as a provider of original programming. And interestingly enough, Pedowitz sounded much less enthusiastic about Nikita saying that it was currently “on par” with expectations but not saying much about a fourth season renewal. True, it’s number (averaging a pitiful 0.4 rating in the 18-49 demographic this season) are terrible, but it’s not much lower than Beauty and the Beast and it airs on low-viewership Fridays. On top of that, Nikita will have 66 episodes at the end of the current season which is only one season’s worth short of the preferred 88 number that the syndication market looks for. Nikita is also very popular internationally which is supposedly got it a third season renewal in the first place. If they cut it short now, then the money they spent on the current season basically gets thrown out the window because it will have limited appeal to the syndication market. But then this network seems to be in a state of turmoil anyway, so I guess bad decisions should be expected. I’m going to set the Cancellation Alert for Supernatural to Low and then put Beauty and the Beast and Nikita at Moderate and I’m not touching them till The CW makes its scheduling announcements for next season. And don’t blame me if they go in a completely different, nonsensical direction. On Monday, Syfy started up its three-hour block of original programming for the year with two Canadian imports and one network original. The latter, Being Human, had a decent enough premiere for its third season with a 0.5 rating in the 18-49 demo and 1.2 million total viewers. For Syfy, those are actually decent numbers these days, though expect them to slip some in the coming weeks if the trend we saw in the Summer holds. Lost Girl had its Season 3 premiere in the United States with basically the same numbers, but new entry Continuum fell somewhere below that. TV by the Numbers, the site I rely on for ratings results, only gets the Top 100 cable shows based on the 25-54 demographic, and Continuum didn’t make it to that list (Update: its ratings was a 0.2 in the 18-49 demo according to Spoiler TV). But I don’t believe that either that show or Lost Girl are tied too heavily to the ratings on Syfy because they have both already aired out their current runs up north on the Canadian Showcase channel. Continuum has received a second season renewal from that network and I would expect Lost Girl to be set to continue to a fourth season. On Sunday, ABC’s Once Upon A Time slipped in the Nielsens to a 2.8 rating and 8.2 million total viewers. But then it had to contend with some pretty serious competition from the Golden Globe Awards and I expect that one to rebound next week. Arrow and Supernatural return from their hiatuses tonight with new episodes so keep an eye on the Cancellation Watch Twitter Site for the early returns from these and the rest of this week’s shows and you can see the Cancellation Alert status of all the shows currently airing plus the final results from prior seasons at my Cancellation Watch page. And for questions on how the ratings work and my Cancellation Alert statuses, you can see the Cancellation Watch FAQ.